Panel interview tips and techniques that help you stand out as the best job candidate. Panel interviews can feel like an inquisition! The key to making the right impression is to remain calm and focused, to try and develop an element of rapport with each interviewer and to be well prepared for the questions you are likely to be asked. Use these tips and techniques to ace the panel interview. It is a challenge to build rapport with each panel member during the interview process so your introductions are key to creating the right first impression. The way you meet your panel will impact on the rest of the interview. When you enter the panel interview take a little time to engage with each interviewer. As you are introduced make eye contact with each panel member, shake hands firmly and greet them using their names. Pause with each handshake and try not to rush through it, it gives the impression of nervousness. 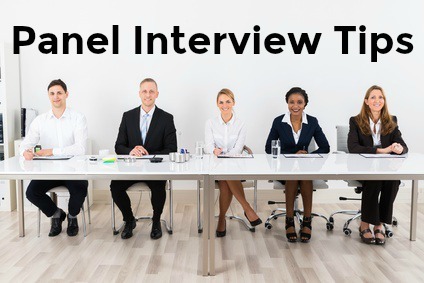 This is a good opportunity to connect with each panel member on a personal level before the interview questions begin. When you sit down in your panel interview, take out your pen and paper and ask if they mind if you make some notes during the interview. First, note down their names as they are seated, if you don't already have this information written down. You will use their names when you respond to their questions, this demonstrates good communication skills, so it is important to know who is who! When preparing your answers to job interview questions remember to highlight your full range of abilities, skills and knowledge to meet the expectations of each interviewer. Behavioral interview questions are commonly used in panel interviews. Use the sample behavioral interview answers to be ready for these type of questions. Develop relevant behavioral examples that demonstrate what you are able to bring to the position and company. Ensure you consider the perspective of the panelist who asks the question when delivering your interview answer.This is one of the reasons it is essential to do your background research beforehand. Make sure you know who will be on the panel and what their function is in the organization. Use these company research pages to help you. Each panel member will approach the interview from his or her own viewpoint and you need to be aware of this when responding to their questions. Most importantly make sure your response effectively and completely answers the panel interview question being asked. Panel interview tips for success will focus on your ability to communicate effectively with the panel members. Make initial eye contact with the person who asked the question and then include the other panel members in your answer. Scan from one face to the next, pausing briefly on each. Focus on speaking to each individual and then, as you finish your answer, return your focus to the person who asked the interview question. "To expand on my answer to Frank, my experience in customer service also includes ....."
This way you are reinforcing the positives you have already discussed and are addressing the concerns of two panel members at once. Panel members are likely to take notes during your interview answer, don't be intimidated by this. Use it as a reminder that you need to speak clearly and concisely. Establish the right communication style with the panel. Essential to panel interview tips is to bring a list of prepared questions to ask during your interview. These should be questions that you can address to different members of the panel relevant to their different organizational roles. Knowing about the panel members beforehand helps facilitate this. You can also use your knowledge of the company and position to prepare questions for the different organizational roles such as human resources, line management, technical and finance. For example you could address a question about company culture to human resources and a question about the priorities of the position to the line manager. Go to this list of questions to ask in your interview to help you with this. At the end of the job interview ask the question, "Is there any other information you would like?" Let your eyes go from one panel member to the next as you wait for their response. Shake hands and thank each interviewer personally at the end of the interview, again using each person's name. Get each person's business card so that you can properly address a thank you letter to each panel member. Find excellent advice on closing the interview including sample closing statements. Key panel interview tips include sending a thank you note within 24 hours of your interview. Follow up on your interview with a personalized thank you to each panel member. Refer to each person's area of interest and customize your comments to make them relevant to that person's particular role. Adapt the sample interview thank you letter for your own use. Find out exactly how a panel interview works. The panel interview guide tells you what to expect from this type of interview. Your interview starts from the moment you arrive at the company. Make the right impression with these job interview tips. Understand group interviews and how they differ from a panel interview. 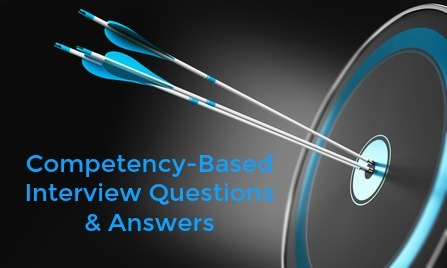 Panel members will ask you competency based interview questions to assess your skills for the job opportunity. to prepare for behavioral interview questions. Know how to handle difficult interview questions including the salary question. 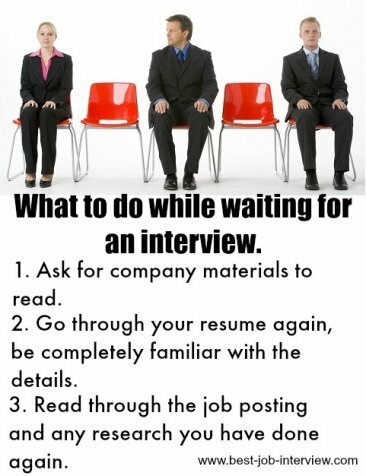 Using the panel interview tips will help you feel prepared and confident no matter how many people you have to face.